I have a few libraries with newish wireless connections that do not, in my opinion, adequately promote them. I decided that will not be the case with this most recent install. I made flyers from this image and hung them around the place. 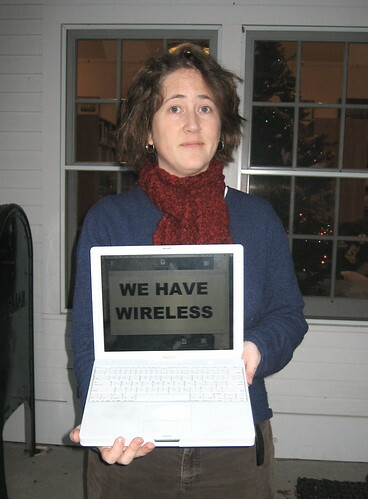 Yay for you for putting more wireless in our libraries! In our great big academic library, it’s obvious. I don’t know why but it is, maybe because the larger campus has a lot of wifi. But people don’t assume public libraries have wifi. Thank you for doing this.